The Sherman Fairchild Mansion is back on the market for $35 million — after a $5 million price cut and changing brokers. 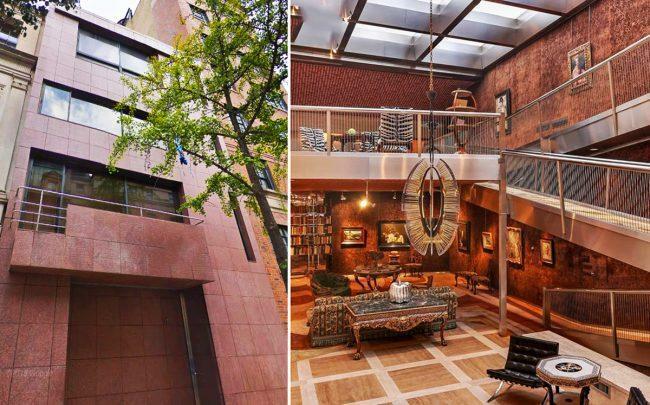 The 25-foot-wide townhouse at 17 East 65th Street, which made a cameo in Woody Allen’s “Hannah and Her Sisters,” spans 9,440 square feet, the New York Post reported. The five-bedroom home has an open floor plan, including a glassed-in courtyard and a three-story great room. It also has an office, wine cellar and a balcony overlooking 65th Street. Christie’s International Real Estate’s Régis Roumila has the listing. The townhouse commissioned in 1941 by aviation pioneer Sherman M. Fairchild, the report said. Fairchild was a lifelong bachelor and founded aircraft manufacturing company Fairchild Aviation. He asked architects George Nelson and William Hamby to build a home that would be as innovative as himself, Roumila told the Post.